Picture yourself at VONA in Miami looking into blue skies, surrounded by beaches and palm trees and lovely, beautiful…writers. During the summer of 2015, I found myself at the University of Miami at VONA, writing workshops for writers of color. The Voices of Our Nation Arts Foundation (VONA) was founded in 1999 by Elmaz Abinader, Junot Díaz, Victor Díaz and Diem Jones as an arts organization envisioned to change the landscape for writers of color. I found myself standing next to, sitting in front of, listening to and talking to novelist, poet, essayist, screenwriter and playwright, Chris Abani. I couldn’t believe it myself if it wasn’t for the pictures. But, here they are in color and in black & white. There I am, a mother, engineer and storyteller, pictured next to writers and educators and community activists. My experience working with Chris Abani was sacred. Chris creates a hallowed space for immersion into the craft of writing. He guided us through the intricacies of how to tell a story and how to tell it well. He worked with us individually to help us understand our own writing and how to best use our own voice, our unique point of view, our unique style, to write and share our stories. I feel blessed to have shared in this experience with my fellow members in Residence at VONA in 2015. Why should you apply to a VONA/Voices workshop or residency? Writer Sujata Shekar, pictured in the far left of both pictures above of the VONA/Voices 2015 Residency group, shared her sentiments with me about her experience at VONA. Sujata Shekar’s stories and work has appeared or is forthcoming in StoryQuarterly, Georgetown Review, Kahani, Cricket Magazine and Guernica. I encourage you to read Su’s interview of Chitra Divakaruni in Guernica, “Sister’s and Spices” (here). If you are an aspiring writer, an emerging writer, or even an established writer of color, you should consider applying to VONA, whether for a workshop or residency. Novelist Chimamanda Ngozi Adichie says it best in her TED Talk, The danger of a single story (here). She reminds us of human frailty and the danger of relying on a single story for our understanding of people and cultures and places. Let your story be heard. Let your voice be heard. By sharing your voice, your story and your experience through the art of literature you can help change the conversation about what it means to be a person of color. It can be intimidating, and it can be scary at first, but attending writing workshops for writers of color like VONA will help you meet other writers of color like yourself who appreciate and understand your joys, trepidations and frustrations about being a writer of color or just about writing itself. Read and listen to interviews of VONA/Voices 2015 Fellows. Interviews with Writer Jimmy “Jimbo” Recinos (here) and Poet Pamela Taylor (here). Learn more about amazing VONA/Voices 2015 Fellows. Nicole Lee is a fiction and non-fiction writer, journalist, actress and world traveler. Nicole is VONA/Voices 2015 Fellow for Residency with Chris Abani. I encourage you to visit Nicoles’ breathtaking photography (here) and view the world from her point of view. She is currently working on a novel. Tomas Nieto is a writer and poet, currently pursuing his Master’s degree at San Francisco State University. Tomas is a VONA/Voices 2015 Fellow for the Workshop in Poetry with Willie Perdomo. I encourage you to read his latest publication, “Sariling Atin – our very own, we are stories”at Soltice – A Magazine of Diverse Voices (here). Marisa Urrutia Gedney is a writer and educator. Marisa was recently named one of Forbes Magazine’s top 30 under 30 in Education. Marisa is VONA/Voices 2015 Fellow for Residency with Chris Abani. She is currently the Director of Programming for 826LA where she helps students write and publish their stories. Her most recent published poems can found in Luis J. Rodriguez’s, LA Poet Laureate, forthcoming anthology, “Coiled Serpent: Poets Arising from the Cultural Quakes & Shifts in Los Angeles”.​ I encourage you to read this article at The Legacy Project about Marisa Urrutia Gedney’s work (here) at 826LA . 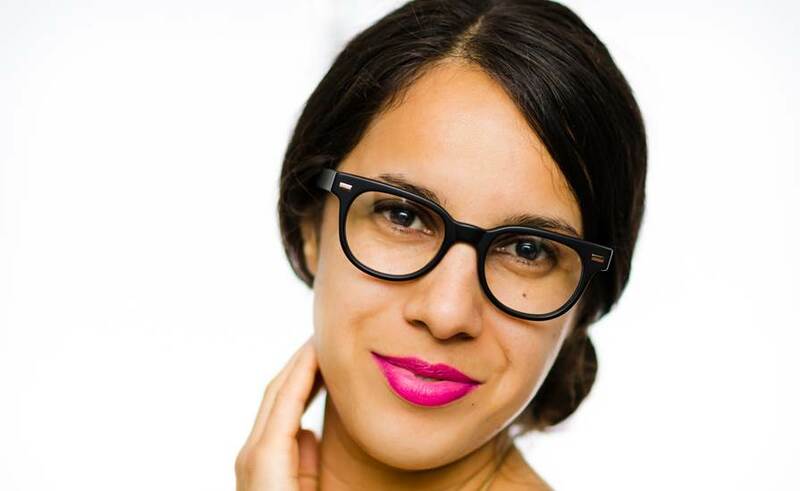 Vanessa Mártir is a NYC based writer and educator. She is currently completing her memoir, Relentless, and chronicles her journey in her blog vanessamartir.wordpress.com (here). I encourage you to follow Vanessa’s Relentless Files (here). Vanessa is a five-time VONA/Voices fellow. She now serves as the Workshop Director and the newsletter editor for VONA. Poet Michelle Moncayo is a poet & guitar player from New Jersey. Michelle is the West Coast Representative for the Girl Army for Speak Like A Girl. She received her BA in English from Rutgers University, where her poems received Honorable Mention from the Academy of American poets. Michelle is a VONA 2015 Fellow for the Poetry Workshop with Willie Perdomo. I encourage you to read her poem “Virginia” at Kweli (here).